You are currently browsing the category archive for the ‘Legends of the Batman’ category. Welcome to episode 28 of Legends of the Batman, the show covering everything Batman — from the beginning! The show’s premise is a simple one. 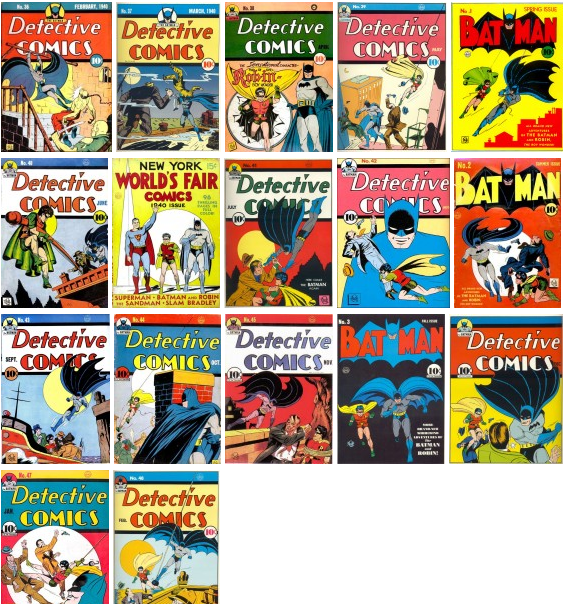 Each episode, we cover a month of Batman, be it comic books, television, movies, whatever, starting with his first appearance in 1939. This week, Michael Bradley and Michael Kaiser take a break from their normal monthly coverage format to look back at their first completed year, going over the pros and cons, the ups and downs, the lefts and rights of all the Batman material released in 1940. And at the end of the show, the two give their votes for the bests and worsts of the year! There are a few ways you can get this episode. You can listen immediately by clicking on the player below. You can also download the episode directly or subscribe to the show via iTunes or the RSS feed! Questions or comments? Additions or corrections? Drop us a line! You can also follow us on Facebook and Twitter, to send us your thoughts, as well!